On your special day everything needs to be perfect. From the flowers to the music down to the picture-perfect choice of earrings. Everything is meticulously planned out and needs to come together in order to make your day everything that you’ve dreamed of. Before your guests get to hear your choice of music, your gorgeous reception venue or even your beautiful dress they watch you arrive. You only get one chance to make a first impression and that’s where JC Jag Hire come in. With a fleet of the most opulent traditional, classic and fully restored Jaguars available, JC Jag hire provide the ultimate in luxury and style providing a 5-star red carpet service. 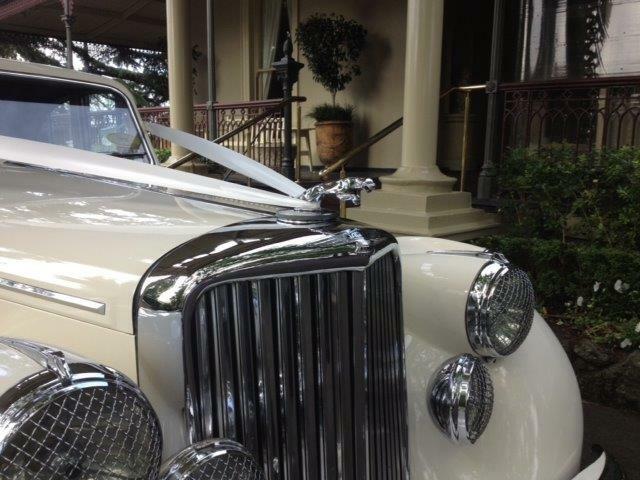 Unlike other wedding cars when you choose JC Jag Hire you can rest assured that every detail is thoughtfully taken care of. A fully qualified professional chauffeur will attend to even the finest details to ensure that your day will be a memorable one. From the curb side service to the bottle of delicious bottle of champagne provided to help with those wedding day jitters, no stone is left unturned. With the amount of choices that need to be made for your wedding it can be easy to feel a little overwhelmed but with JC Jag Hire we take the stress and worry out of your car hire needs. Various packages and car choices are available, so we can help customise a package to suit your individual wants and needs. Nothing quite says elegance, class and style like a classic jaguar. Take a minute to have a quick look at our range here. It’s normal to have a lot of questions and queries and we are only too happy to help with friendly and professional, obligation free advice. Please feel free to either contact Con directly on 0417 711 077 or John on 0416 354 031.